This is a volume of international research on the European reception of P.B. 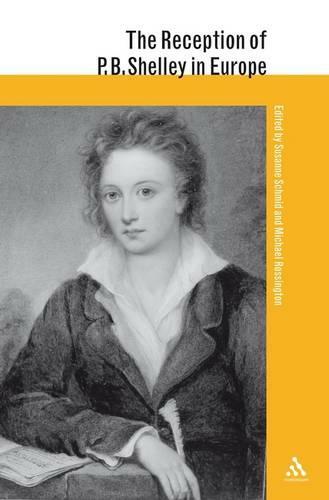 Shelley.The widespread and culturally significant impact of Percy Bysshe Shelley's writings in Europe constitutes a particularly interesting case for a reception study because of the variety of responses they evoked. If radical readers cherished the 'red' Shelley, others favoured the lyrical poet, whose work was, like Byron's, anthologized and set to music. His major dramatic works, "The Cenci" and "Prometheus Unbound", inspired numerous fin-de-siecle and expressionist dramatists and producers from Paris to Moscow. Shelley was read by, and influenced, the novelist Stendhal, the political theorist Engels, the Spanish symbolist Jimenez, and the Russian modernist poet Akhmatova.This exciting collection of essays by an international team of leading scholars considers translations, critical and biographical reviews, fictionalizations of his life, and other creative responses. It probes into transnational cross-currents to demonstrate the depth of Shelley's impact on European culture since his death in 1822. It will be an indispensable research resource for academics, critics, and writers with interests in Romanticism and its legacies.Our knowledge of British and Irish authors is incomplete and inadequate without an understanding of the perspectives of other nations on them. Each volume examines the ways authors have been translated, published, distributed, read, reviewed and discussed in Europe. In doing so, it throws light not only on the specific strands of intellectual and cultural history but also on the processes involved in the dissemination of ideas and texts.